If you’re an SEO or even just an avid reader, you’ve probably heard the phrase “content is king” at least a time or two. Believe it or not, Bill Gates is credited with coining the phrase content is king, which is appropriate given the sentiment’s relevance to today’s connected society. 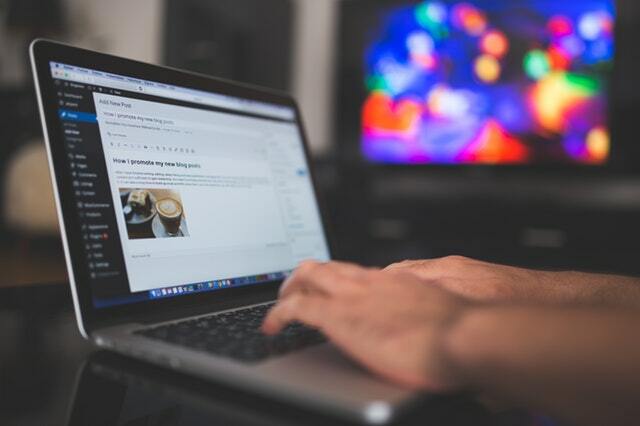 While you may believe content is king when you’re in the middle of a great book, SEOs and people involved with search engine marketing should believe that content rules even more firmly. Why is that the case? Because content can make or break an SEO or SEM campaign. In other words, meaningful content that’s relevant to your target audience can make a search engine optimization campaign wildly successful. By contrast, thin content can undercut the effectiveness of your SEO and SEM to the point that they yield no measurable benefits. Way back in February, 2011, Google changed its algorithm with an update named Panda. The Panda update was the first in a series that attempted to penalize websites that had low quality or thin content. The goal was for Google to be able to improve the quality of the search engine results pages it produces. Panda has been updated numerous times since it was initially launched in 2011. While that’s the case, the purpose of the original update and the ones that followed remains the same – to reward websites with high-quality content with better rankings in SERPs and to penalize sites that have poor or thin content. Initially, Panda primarily focused on content farms. Content farms are generally websites that have a tremendous amount of content that was prepared for the sole purpose of ranking well in SERPs and drawing traffic to those sites. The material on a typical content farm is jam-packed with keywords, but short on actual information. While the use of keywords used to make these sites attractive to search engines, their lack of useful information now makes them unattractive because they’re largely of no use to a visitor. Panda originally had its sights set on scraper websites, too. A scraper site is one that scrapes or takes material from a different website and reposts the same content on its own website. Put simply, a scraper site is often riddled with plagiarized material. While Panda’s original focus was comparatively narrow, its purpose is now much broader. Rather than penalizing content farms and scraper sites almost exclusively, Panda will now penalize any kind of website for having thin content. If you’re still struggling to wrap your head around thin content, it may help if you think of a website’s content as food that search engines consume. When Google devours high-quality, relevant content, the search engine will be satisfied with what your website served up and your site will probably earn a higher rank in SERPs. If you feed Google low-quality, thin content, the search engine will have difficulty understanding what your website is all about. Because of that, your site will be outranked by other sites that have more detailed, useful and meaningful content that’s more satisfying to Google. How Does Google Determine if Content Is Thin? Google’s index consists of trillions and trillions of webpages. Because the search engine’s index is so big, it’s impossible to check every webpage by hand. Although some websites will endure a manual review, Google will judge almost all of the content in its index using an algorithm. One tool that Google uses to determine if content is thin is the time to long click metric. While the evaluation by Google’s algorithm is important, the most important opinion of content comes from the people who consume it. The time to long click metric measures the amount of time that passes between the moment when a person clicks on a search result and stays on the web page before returning to Google’s SERPs. A long click happens when a user clicks on a search results and stays on a website exploring after the person reads the information they were originally looking for. A short click occurs when a user clicks a given search result, returns to Google’s SERPs almost immediately and clicks on another search result. When users do this, they’re basically telling Google that the result they clicked on first yielded very little value. Clearly, the length of time that users spend on your website is a sign that your content is either thin and unattractive to search engines or thick and appealing to Google. If users stay on your site for a while after they navigate to it from Google’s search results, it’s likely your website has thick content. If people leave shortly after they land on your site, it’s quite possible your content is too thin. When Google thinks your site’s content is thin, your website can be penalized. You may get a warning from Google that your site is in danger of losing its enviable rankings as well. If thin content is plaguing your website, you should partner with us and take advantage of our website copy services. We’ll create useful content that’s meaningful and relevant to your target market – content that will resonate with Google searchers and will contribute to a higher ranking. To put our website copywriting skills to work for you, schedule a consultation with GoingClear Interactive today.